GDR Architectural Ltd is a newly formed division of G D Rutter Ltd, specialising in the specifying, supplying, installing, and servicing of all commercial entry solutions. In 2013 G D Rutter Ltd was appointed the offical supplier of Iseo security products for the New Zealand market, and in July 2017 the exclusive New Zealand rights for Myone Automatic Door Operators. Iseo and Myone's alignment with G D Rutter Ltd demonstrates the confidence large European suppliers have in our company and our ability to support their products within the New Zealand commercial market. G D Rutter Ltd was founded in 1930 as an importing agent specialising in builder's hardware. Three generations and 87 years later we have grown to be one of New Zealand's leading suppliers of door and cabinet hardware to the hardware trade under the Sylvan brand name. Throughout the 87 years of business, there has always been a strong family influence with the emphasis on customer satisfaction product support and quality. Now G D Rutter Ltd is managed by the 3 grandsons, who have grown up with hardware products being involved in the business from a very young age. The Management of G D Rutter Ltd, believe the Access Solutions Sector is a natural extension to the G D Rutter Ltd business and we are excited about the opportunites that this sector may bring to G D Rutter Ltd.
Nick commenced his working life as a Plastic Engineer specialising in injection moulding. He joined the parent company of GDR Architectural (G D Rutter Ltd) over 30 years ago originally as a plant Engineer, and now Managing Director. 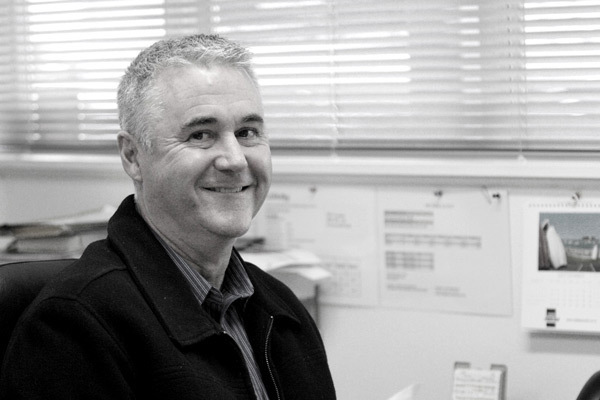 Nick's believes in providing his 27 staff with a positive working environment, and supplying hardware products that are designed and suitable for the New Zealand market whilst also focusing on strong customer satisfaction. He is excited about the opportunities that the newly formed GDR Architectural Ltd will bring and see's it as a natural progression for the growth of G D Rutter Ltd.